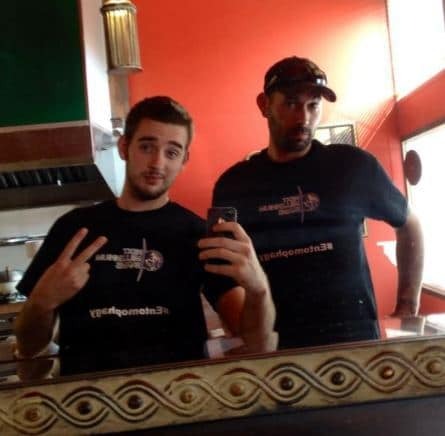 Who are those handsome young men sporting the Next Millennium Farms shirts #Entomophagy? Why, they’re the Dereks of course! Derek Sedgwick and Derek Delahaye, members of the Next Millennium Farms family, represent at thePeterborough Farmers’ Market. They made their debut last weekend, and were over-whelmed by the wonderful response from the many people who came by the Next Millennium Farms booth at the market.Every Saturday, from 7am to 1pm, hundreds of people browse through the stands of the Farmers’ Market at the Memorial Centre parking lot at Lansdowne and George street. Many people were really open to the concept and trying the product. 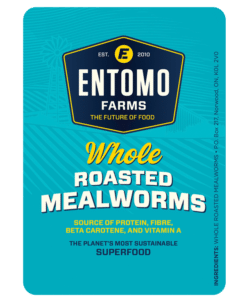 Mothers, without any hesitation, were allowing their very curious children to sample a seasoned cricket or a mealworm from the newly launched Bug Bistro line of edible seasoned insects. Everyone who tasted a cricket or mealworm was pleasantly surprised to find that they are really quite delicious! 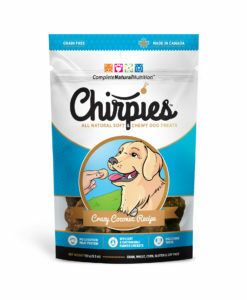 By the end of the first day, it was clear that the most popular insects to crunch on were the crickets, and the best seller of the day was the 113 gram bag of cricket flour. If you live in the Peterborough area, or love spending your summer in Ontario trawling from one farmers’ market to another, stop by the Next Millennium Farms booth for a sample of bugs bursting with flavour! 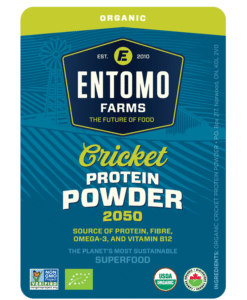 This entry was posted in Blog and tagged Bug Bistro, buy cricket flour, cricket flour, eat bugs, eat cricket flour, Entomophagy, insect flour, insects, next millennium farmss, NMF News and tagged bug, Protein2050, This entry was posted in News.